The A-Z Do-a-Dot Set is composed of the Do-a-Dot printables found in our Alphabet Letter Learning Pack series! These Do-a-Dot activities offer little ones a fun way to explore each upper and lowercase letter of the alphabet as well as practice phonetic sounds with the cute images! 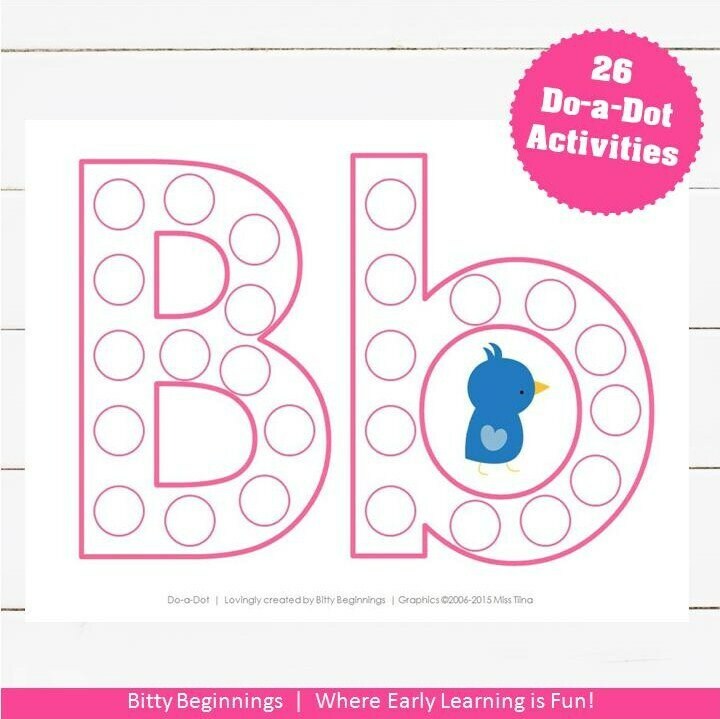 If you have a little one who is beginning to recognize letters and their sounds or are a teacher with a class full of little ones eager to learn, these do-a-dot activities will help make learning fun for the little one(s) in your life! This set includes 26 pages of pink Do-a-Dot prints! Print (Heavier cardstock is encouraged for added strength). Encourage little ones to use Do-a-Dot markers to fill in the circles. You could use stickers, glue and glitter, or corks and paint to fill in the circles, too.